No Deposit Bonus $2500 free bonus and 60 minutes to play. Bonus Info. Your winnings are yours to keep at the end of your 60 minutes Free Play! Maximum win on the Free Play is $100. If a player's casino account shows no activity for 60 days, the bonus balance will expire and be removed. Refer-A-Friend For a player to receive the refer-a-friend bonus the referred player must deposit $100 or more and have wagered over $1000 for the referrer to receive the bonus. Wagering Caribbean Draw Poker, Texas Hold 'em Bonus Poker Gold, triple action Hold' em bonus Poker Gold, Classic Blackjack and all Roulettes count 2% towards wagering requirements. If a player receives a $100 bonus, they will have to wager approximately $3000 based on a game with 100% wagering contribution. 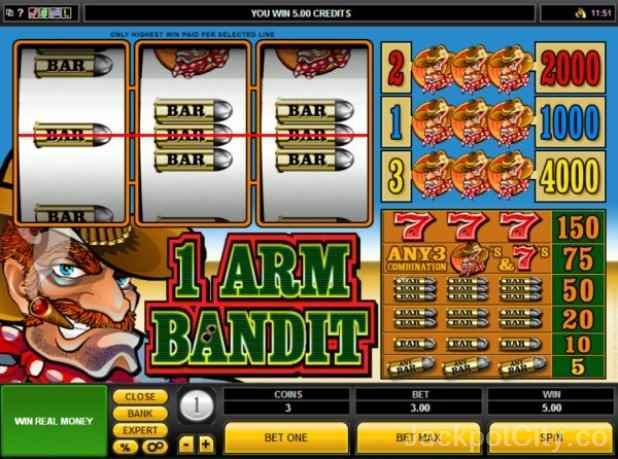 Slots and Parlor Games count 100% towards wagering requirements. 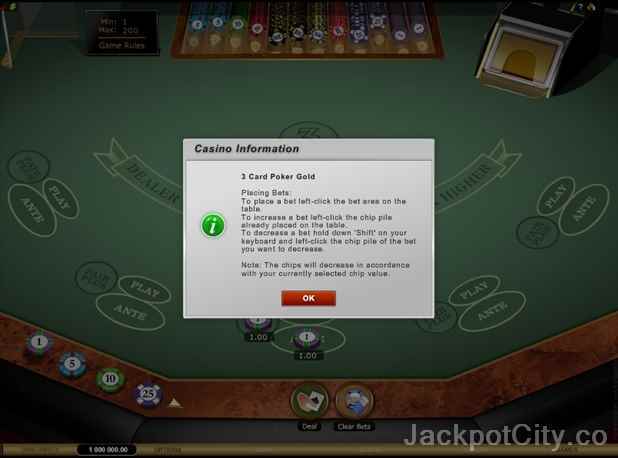 Table Poker, Casino War and Sic Bo count 50% towards wagering requirements. 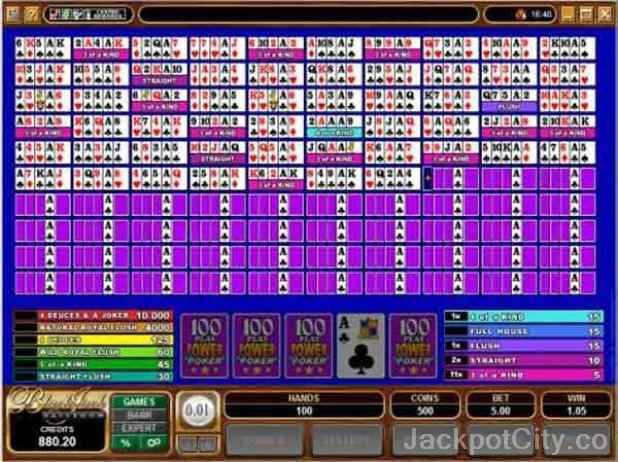 Video Poker, all Blackjacks except Classic Blackjack, Craps and Baccarat count 10% towards wagering requirements. 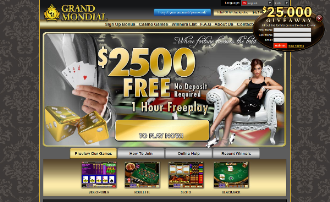 For more detailed information about wagering requirements, terms and conditions, cash backs, bonus rules and maximum payouts, - please confirm with Grand Mondial Casino prior to registering. Mobile Their games are playable on iPhone, iPad, iPod and Android handsets on TOP of thousands of other feature phone handsets. Jackpots If it 's a jackpot that you' re aiming for then you must be playing the Progressive Slots. Jackpots exists in the casino. Promotions Every month they run promotions that add additional points to your account. For those who've earned the most VIP points will be eligible for bigger and better promotions. If any winnings are made while using the promotional software, these must be claimed within 7 days. Promotional bonuses/prizes that remain unused in a player's account for longer than 2 months from the date of registration, shall be lost. There are also many promotions which earn you VIP points. To be able to receive any promotion or bonus, you must be playing with the primary currency used in the country where you have a registered address from where you are playing. Loyalty Program Just like frequent Flyer points, the VIP loyalty program rewards players for their loyalty. With over 30 different casinos being members of the Casino Rewards program, all the loyalty points you earn on any of these partner casinos are added together into a single VIP account. 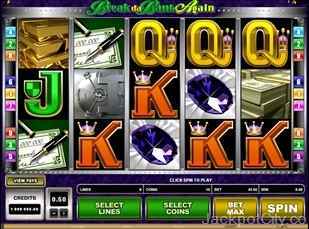 You can also benefit from Casino Rewards, one of the most successful gaming loyalty programs online. VIP Personal VIP page which will show you how many points you 've earned since you joined the casino, how many points you' ve got to withdraw, and how many points you need before you can withdraw. You can redeem your VIP points at any partner casino of the Casino Rewards program where you have an active account. Withdrawals Any withdrawals are subject to the charges specified on their website under the banking section. As long as you've got 1,000 points in your account you may withdraw when you want to. 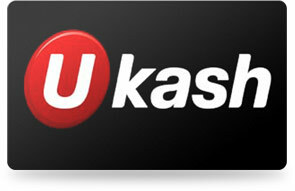 Funds must be withdrawn with the same method used for depositing. Initial CADEFT withdrawal timeframe: 5 to 7 working days. Players who win a sum that is 5 times or more greater than their total purchases across all Casino Rewards partner casinos shall only be able to withdraw their winnings at a sum of $4000 a week. Subsequent CADEFT withdrawals: 3 - 5 working days. The minimum withdrawal amount is $50, excluding payments to Fedex/Courier Checks and DBT which is $300. These jackpots are currently avaliable at Grand Mondial Casino. Click a jackpot name to see details recorded by our jackpot tracker, - like historical progress, how often the jackpot is won, win values, average win values and more. Currencies that are accepted in accounts at Grand Mondial Casino are: Uk Pounds, Canadian Dollars, US Dollar, Euros. Languages avaliable are Dutch (netherlands), English, French, Chinese, Japanese, Spanish, Norwegian, Portuguese, Italian, Finnish, Greek, German., Swedish. Grand Mondial Casino accepts Neteller which is among the best methods for fast and easy deposits/ withdrawals at most casinos.